Many sellers believe that a home inspection should be paid for by a potential buyer prior to the sale. In reality, buyer inspections often result in a reduced offer and sometimes scare buyers off altogether. Pre-listing inspections set realistic expectations and prevent surprises that result in costly 11th– hour re-negotiations. More home sellers are turning to new strategies to sell quickly and at the right price by hiring an inspector before putting a home on the market. Liz Moore, an expert real estate broker and Small Businessperson of the Year in Newport News, Va., says her firm pays for a pre-listing inspection for all her sellers. “It’s fair to say that is the reason our listings sell 30% faster than the market average,” she says. And early anecdotal evidence suggests that inspected houses consistently sell for a few thousand dollars more. The buyer has the upper hand when they have an inspection, says Coldwell Banker consumer specialist and agent Jessica Edwards. If you are willing to do it ahead of time, you give the control back to the seller. 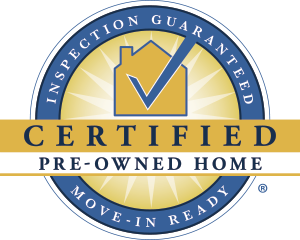 A Certified Pre-Owned Home is a trademarked concept that has been provided by A-Pro since 1997. More than just a pre-listing home inspection, the purpose of this proven program is to provide actual security and value to the buyer of a property and give the seller another marketable selling point for the listing. Here’s how it works: The seller hires A-Pro to perform a pre-listing inspection. A-Pro completes the inspection, certifies it to the seller, and guarantees the findings to the new buyer – thus, a Certified Pre-Owned Home. The buyer no longer needs to pay for an inspection of their own because they are already protected against the costs of unexpected repairs. Since other Cincinnati home inspection companies do NOT offer guarantees on their inspections, there is no need to hire them because the home is now guaranteed for 120 days by A-Pro. How’s that for peace of mind! Any questions at all, just call our friendly Cincinnati home inspection professionals at 1-513-657-1367. You’ll also rest easy with our free 120-day “If we don’t report it, we repair it” guarantee. Our inspections are so thorough we stand by them 100%—for covered unexpected repairs.